The MDA is a series of water jet cutting equipment manufactured by Mécanuméric. 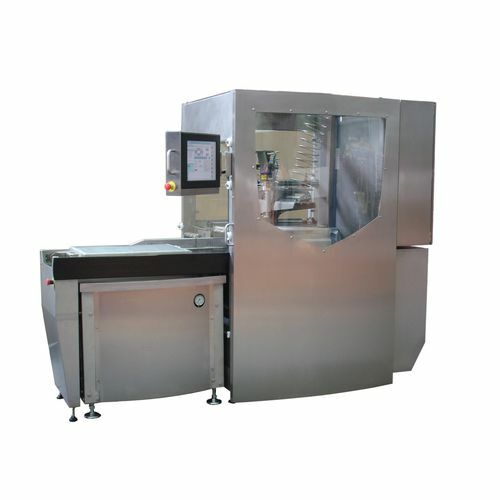 Specifically designed for food cutting, the MDA series can be used for a wide variety of food products such as pastries, fish, catering products, meat transformation, vegetable slicing, and sandwiches. It has a welded mono bloc frame, a stainless steel-made mobile gantry that allows the loading and unloading at a hidden time, and an extremely high pressure KMT H2O generator unit that allows operation in the long time. The MDA does not have a blade and cutting is through a manner that does not require any contact.